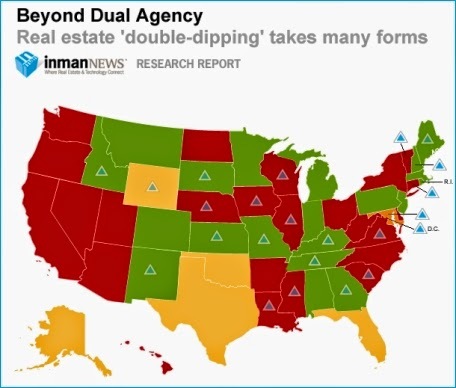 Thomasville, Georgia - Avoid Using a Dual Agent! A dual agent cannot, by the nature of their contract with the seller, effectively negotiate the lowest possible price for you, and so you may end up paying more than you should, and making concessions to the seller that you don’t want to make. Although use of a dual agent must be agreed to by all parties in writing for it to be legal, and although the agent is legally obligated to be fair to all parties, invariably the dual agent will favor the seller. BE WARY OF DUAL AGENCY - THOMASVILLE, GEORGIA IS FULL OF DUAL AGENTS THAT ARE THIEVES. 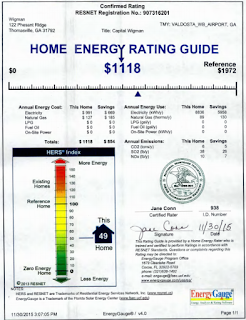 The RESNET HERS Index is the industry standard by which a home’s energy efficiency is measured. 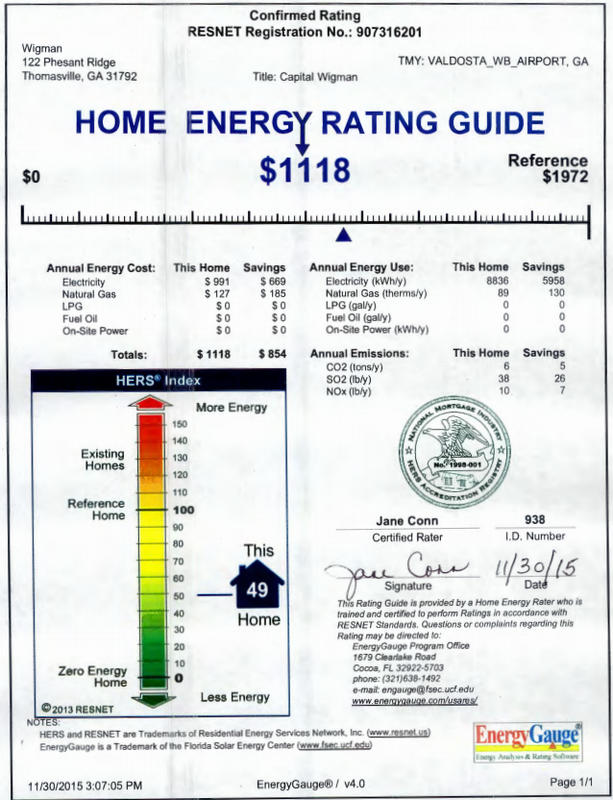 The HERS or Home Energy Rating System was developed by RESNET and is the nationally recognized system for inspecting and calculating a home’s energy performance. Certified RESNET Home Energy Raters conduct inspections to verify a home’s energy performance. Tests include verification of density of insulation, vapor & air barriers, blower door tests (to check the house leakage), duct system performance testing, and many others. Agency relationshipsAgency relationships are created when one person agrees to act on another’s behalf, or represent them in dealings with a third party. Now imagine. New Homes being built by an unlicensed person and that person also claiming to be a project manager with no building experience. Building of these homes continuous. Buyers beware. Cheap Homes = Cheap Homes. WHO BUILT THE HOME YOU ARE LOOKING TO BUY? Will your next home be built and sold to you by a realtor? Look for a professional Builder. 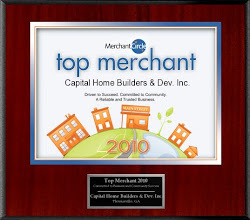 A professional builder is the only one that is dedicated to what they do and are on site from start to finish. A real estate agent or property appraiser is only interested in selling you that home he is not on the job site from start to finish because he is trying to sell homes. What type of quality construction do you think went into that home? And what homes do you think you are going to see first? Always ask who built the home and who are you buying the home from. You will be surprised to find out who built that home you are looking to buy! You would have to wonder who would warranty that new home. A few realtors in town are building low end homes and having some of their associates steer potential buyers to those listings. Resale Value of Spec Homes in Thomasville, GA. Caution: Some Real estate professionals and Real State Brokers like to use the word total square footage when listing a home. The word (Total Square Footage) is used when the listed properties square footage under heated & cooled is to small for the listed price. The total square footage of heated, cooled, garage, porches and decks are sometimes used to justify the price per square footage of that property. 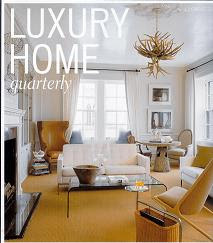 So you need to ask for the total heated & cooled square footage and divide by total price = price per sq. ft. The City and County Requires any addition or unfinished bonus rooms done after the home was built should have a permit. Example of misrepresented property by an agent in Thomasville, GA. Listed at 3,800 Sq. Ft. but public records has it for 3,200 Sq. Ft. Definitely something wrong with this picture.